Welcome to our 4th year of womans philanthropy! We are GLOWING UP in pink this year and inviting all guests to participate. Encouraged to wear your pink pearls, pink wigs, pink shoes or pink purses. This is an event for all ladies that would like to join! 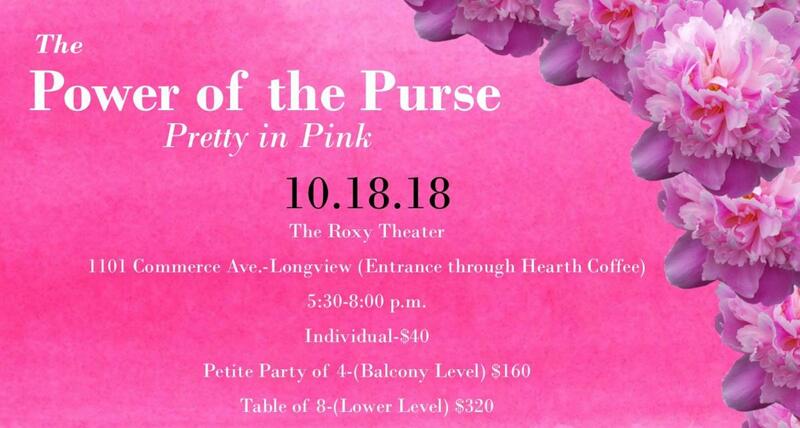 Event features a purse raffle, high energy fashion show featuring local leaders/retailers, a wine pull, a Woman of Excellence Award, hors d’ oeuvres and more! There will also be an opportunity to win a pretty in pink jewelry prize! Don’t miss this fun and philanthropic women’s night out! The Power of the Purse benefits United Way funded programs and efforts. EVENT IS SOLD OUT. THANK YOU EVERYONE.